We are the region's leading supplier of high quality Early Childhood, Special Needs & Primary teaching resources. We source and supply only the highest quality products from educationally leading countries such as England, USA, and Australia. 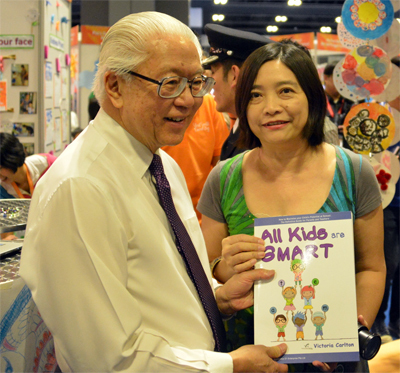 As South East Asia's largest one-stop teacher's resource supplier, we endeavour to constantly source only the very best educational products available in the industry. Our product database is constantly growing. There's over 1.35 million products currently listed including Early childhood textbooks, assessment tools, reading programs, math resources, phonics resources & programs, manipulatives (learning aids), puppets, children's furniture, sports/outdoor & gym equipment, award-winning books, books with audio CDs, big books, picture books, Audio-visual equipment, audio CDs, DVDs, educational software, classroom decorations, charts/posters, games, puzzles and a lot more! This website will not show the whole range of products we sell as there's simply too many to list; it is purely an informational site to give you an idea of what we have available. 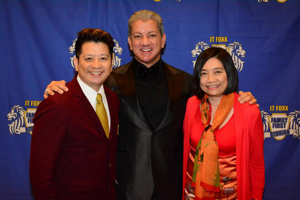 You should visit our publisher's website to view their full range of products. 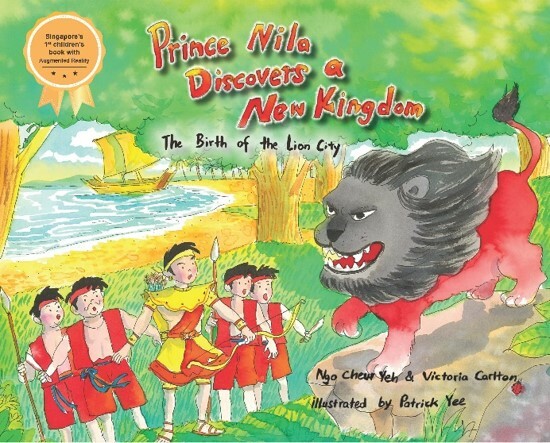 Click here to find out more about the first augmented reality storybook created for children of Singapore. Contact us on 62560226 for bulk purchases. 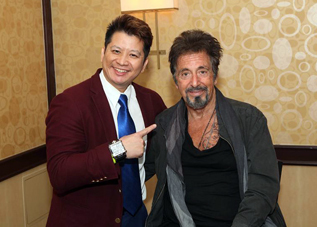 Al Pacino, George Ross, John Travolta, Calvin Klein, Bruce Buffer. (Above) Ex-President Tony Tan, Minister Chan Chun Sing, Senior Minister Indranee Rajah, and Prime Minister Lee Hsien Loong. 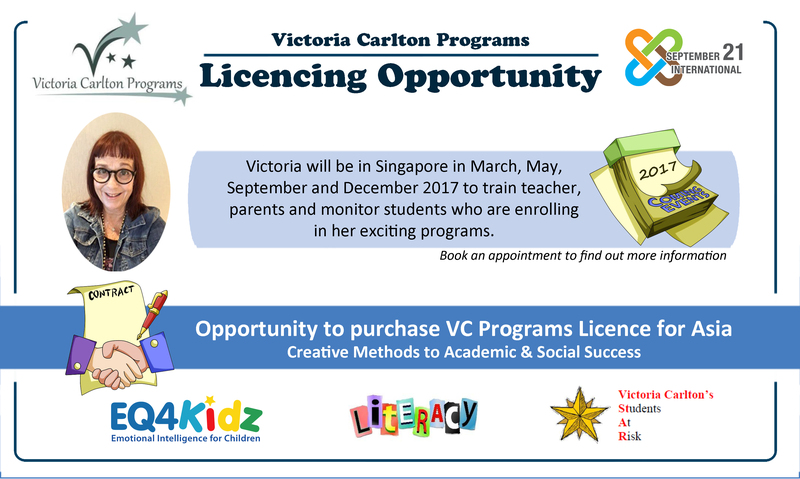 Are you looking for a reliable enrichment centre that is currently using one of Victoria Carlton's programs? These are just some of the centres that are currently using them. 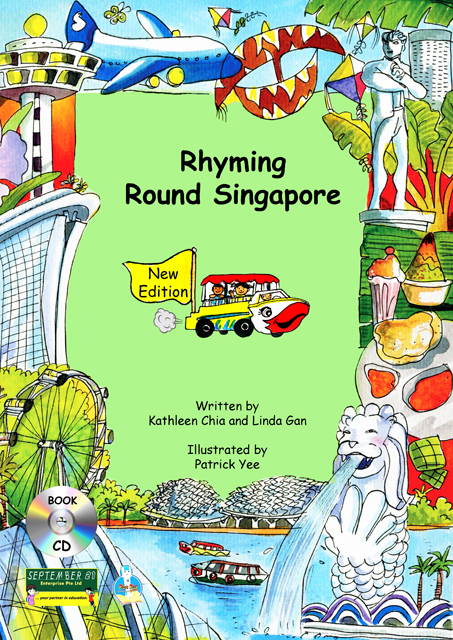 Enjoy 26 rhymes and songs whilst learning the english alphabet and popular things about our wonderful country, Singapore! 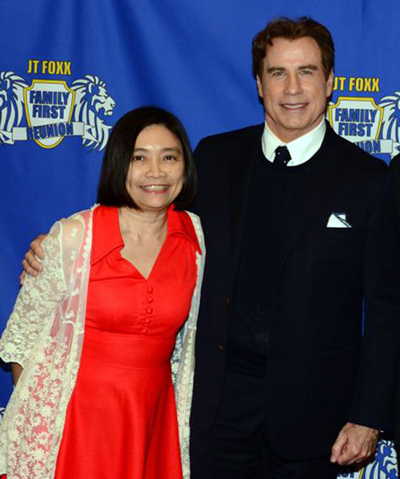 Victoria Carlton's latest book. 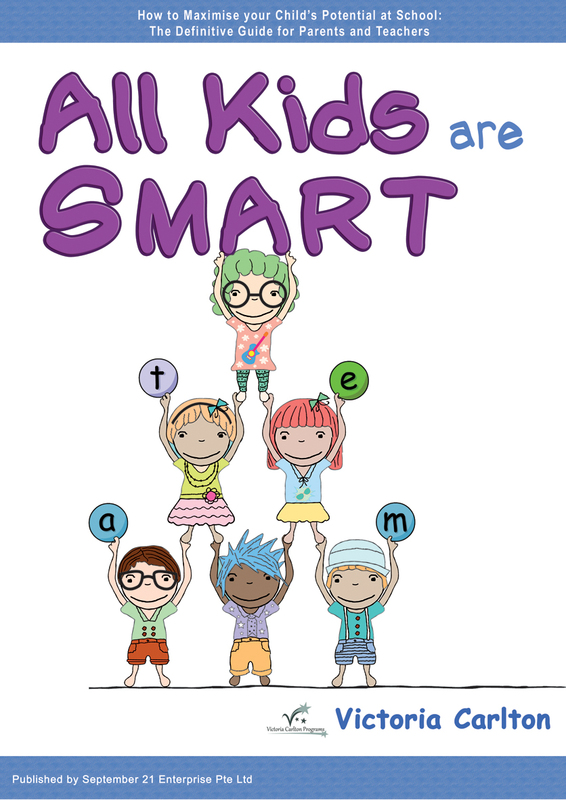 This book will show you how to grow each of your child's eight intelligences in order to help them reach for the stars and to help them achieve a better future. 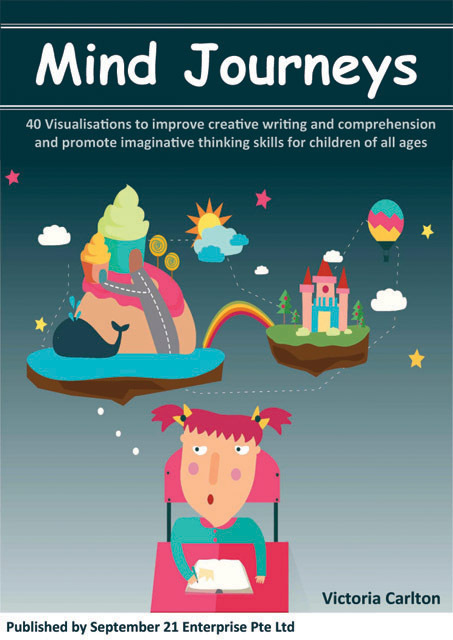 40 Visualisations to improve imaginitive writing, comprehension & creative thinking skills for children of all ages.Mind Journeys is exactly what the title implies. It is the process of leading children through journeys of the mind to improve their ability to visualise, imagine, comprehend, concentrate and write coherently and creatively. Victoria Carlton's latest book. 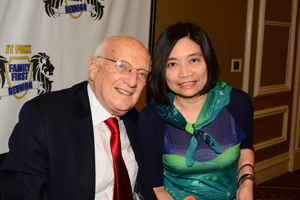 This book provides strategies to help boost intelligence & learning potential. Many busy parents and teachers have asked us for quick tips and solutions to bookst children's learning potential. So this handy guide does exactly that! 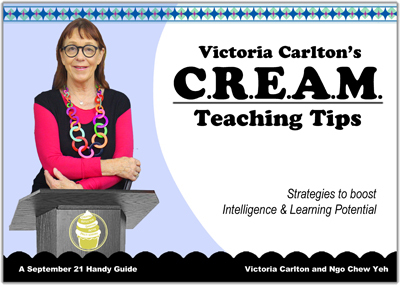 The techniques have been trialled and tested using Victoria's CREAM teaching model & Howard Gardner's Multiple Intelligences. Looking for a book to introduce Phonics to your toddler? 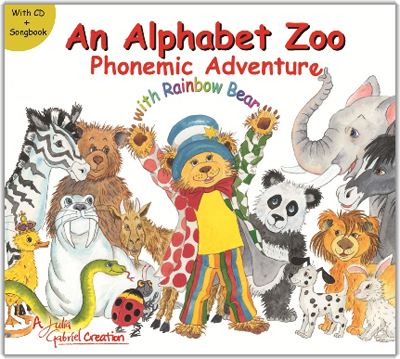 Let Rainbow Bear take you and your child on a lively journey through in An Alphabet Zoo: Phonemic Adventure. Meet and make friends with Ellie the Elephant, Kara Koala and Uncle Ultrasaurus. 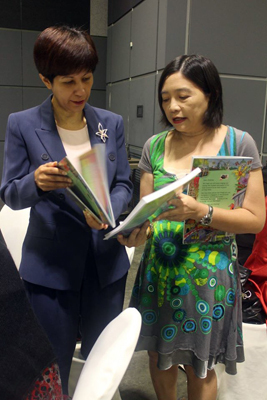 With colourful literacy aids from Julia Gabriel Creations, this book helps children from ages 2 – 5 to articulate speech and be more confident in their reading. The accompanying CD and songbook offer you and your children the perfect opportunity to share the joy of learning together.